For years we have been dedicated to the trade of premium quality Timing Belts And Timing Pulleys. 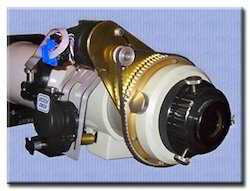 Precision engineered, stable, smooth operation and reliability are some of the popular features of our premium products. 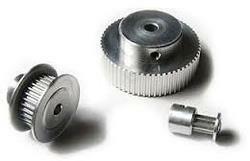 We are manufacture of high precision timing belt pulley in all sizes with high quality or as per tolerance standards. we request genuine buyers/importers to please contact us. The superior quality Timing Pulleys are the example of extensive research in the mechanical field done by our proficient team members. These pulley have got a great use in many industries and are made by the best quality raw material available in market. Example of supreme engineering, these pulleys offer longer life and are available to clients at the most reasonable prices. Available with us is a comprehensive array of Timing Pulley, which is widely utilized in spare, machine building and automobile industries. In order to make it durable and strong, we ensure it is manufactured by our technicians using superior quality material. These are offered to the clients at market leading prices. We exports Positive Drive Pulley (Timing Pulley) manufactured from quality materials. Ferrous and Non-Ferrous(Steel and Alluminium Alloys Material) and or as per customer's drawing. The combination of economy, efficiency and superior performance is utilised for so many different way that the range of applications are virtually limitless.